The new taskbar previews in Windows Vista are pretty slick, but they seem to stop working for me after a while. This isn’t a permanent fix, but it does solve the problem on a temporary basis. The taskbar previews are actually part of the explorer.exe process, even if they access the DWM service to get the thumbnails. My first test was to restart DWM, which didn’t seem to do anything. 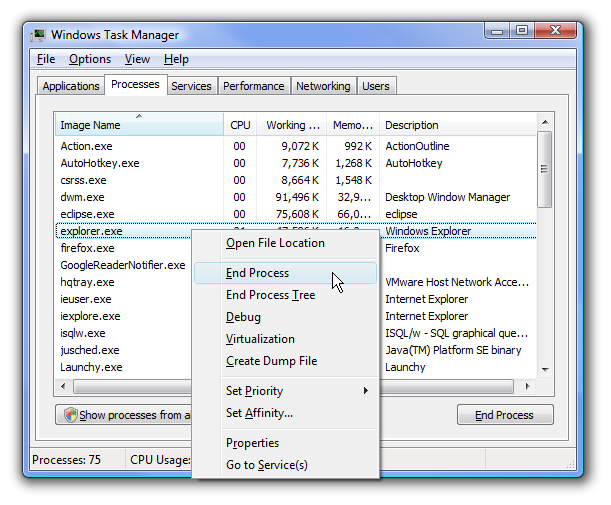 Next, I opened up Task Manager and hit End Process on the explorer.exe process. 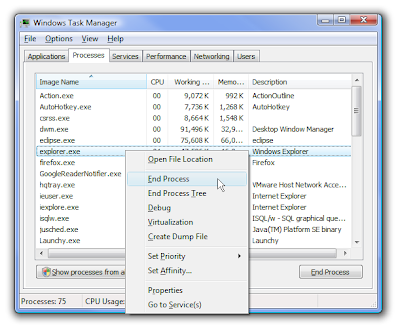 Now hit File \ Open on the Task Manager window, and then type in explorer into the Open box. Your taskbar previews should be back to normal, although you are probably slightly irritated that this was required. 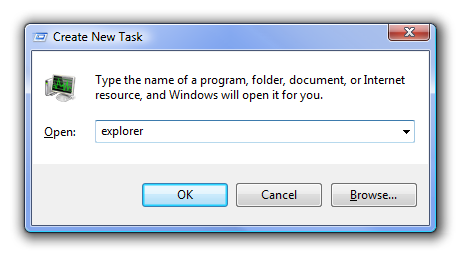 If you really wanted to get slick, you can create a script that automates killing and restarting explorer.exe. After a few more times of encountering this, I’m going to do it myself.